Mercedes-Benz has a new concept car in the works. It’s set to unveil the vehicle at Pebble Beach in just a couple of weeks from now. And while it’s released precious few details, it has given us a some key indicators of what to expect. 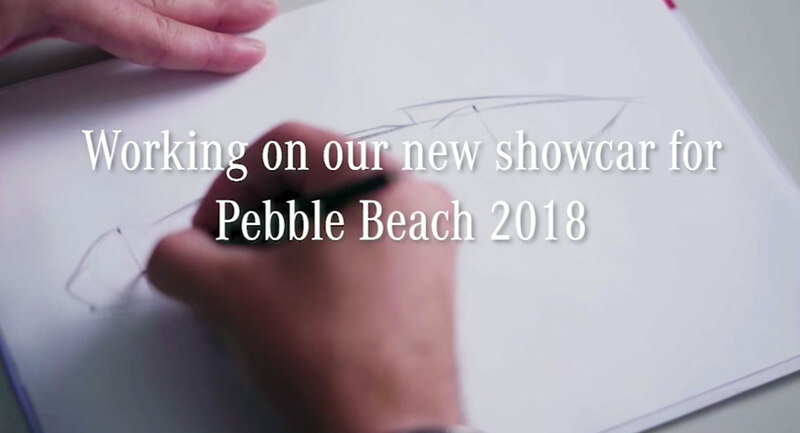 This (very) brief video released on Facebook ostensibly shows the hands of the company’s chief designer Gorden Wagener sketching the outline of the show car in question. The shape look rather old-school, like a pre-war grand-prix racer – the kind that Mercedes (and Auto Union) campaigned to such famous effect in the mid-late 1930s. That inspiration would seem to be confirmed by one of the #eqsilverarrow label placed on the video, which (alongside the #SwitchToEQ) apparently indicates it’ll feature an electric powertrain. EQ is what Benz is calling its forthcoming new line of electric vehicles, previewed by the EQC and EQA concepts revealed at the 2016 Paris and 2017 Frankfurt auto shows. Reports of this latest concept’s preparation first blipped on our radar screens last month when Wagener and his team revealed the Aesthetics Progressive Luxury sculpture, a sort of high-relief installation evoking the record-setting streamliners Mercedes ran prior to the outbreak of the Second World War. With the Mercedes-AMG Project One speeding towards (limited) production, we wouldn’t count on this show car yielding an actual production model of its own any time soon. But it ought to serve as a showpiece to highlight the German automaker’s forthcoming EQ sub-brand of EVs that will take the fight for the Silver Star to Audi‘s E-Tron and BMW’s i models as erstwhile conventional automakers gear up to fight Tesla in the emerging market for high-end electric vehicles.